I shared my entry, family room, dining room, and master bedroom with you all decked out for Christmas in my tour last week. If you haven’t checked it out, I’d love it if you did first because I’m a little obsessed with how it all turned out! Decorating for Christmas is my favorite thing and I put a lot of hard work into my decor. But it’s so worth it because now I’m sitting in front of a crackling fire, next to a beautiful lit Christmas tree writing this blog post and sipping hot chocolate. 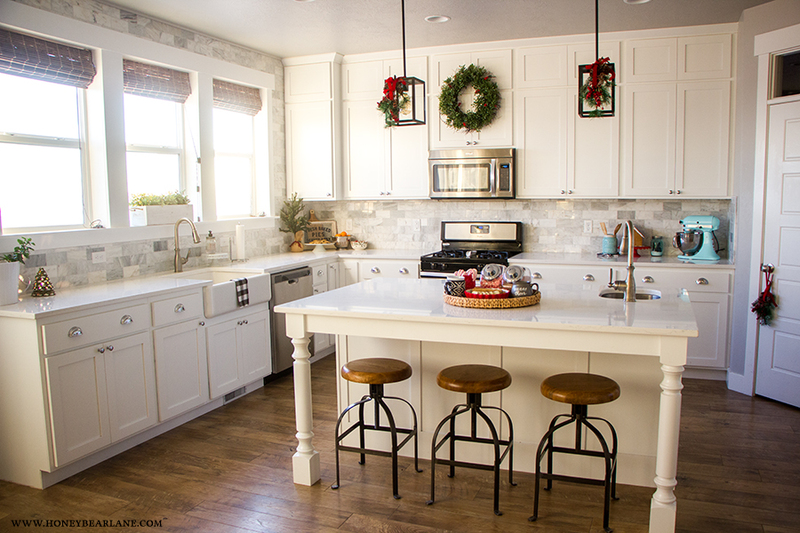 Today I’m hopping onto Christina’s tour A Very Farmhouse Christmas for the last day of the tour to share my farmhouse Christmas kitchen! 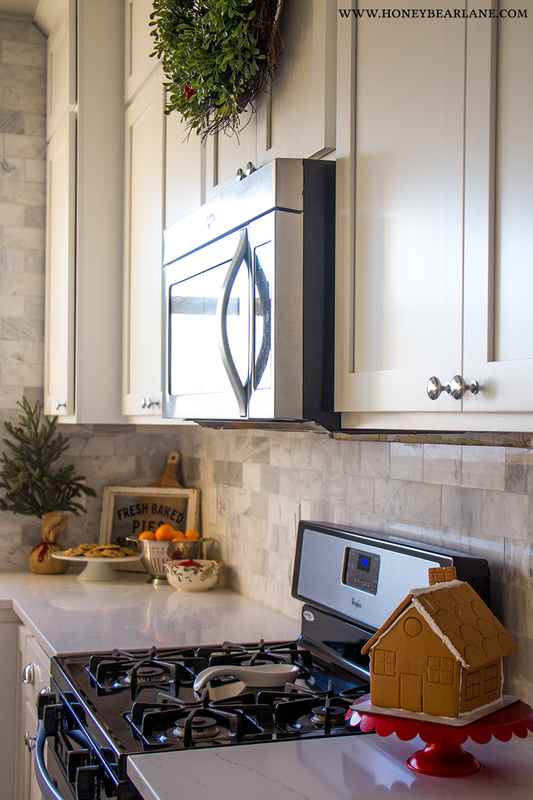 The kitchen is the heart of the home and I just had to warm up this space with a little Christmas cheer. I actually didn’t do everything I thought of but maybe next year! I love to change things up each year a little. My friends think I’m crazy. Here is the overview shot of my kitchen. I really love the layout of this kitchen, which is one of the things we loved about this floorplan (we built our home two years ago). We still have some more plans to customize things…add a hood and remove the microwave, add glass cabinet doors to the upper cabinets, upgrade our appliances, etc. 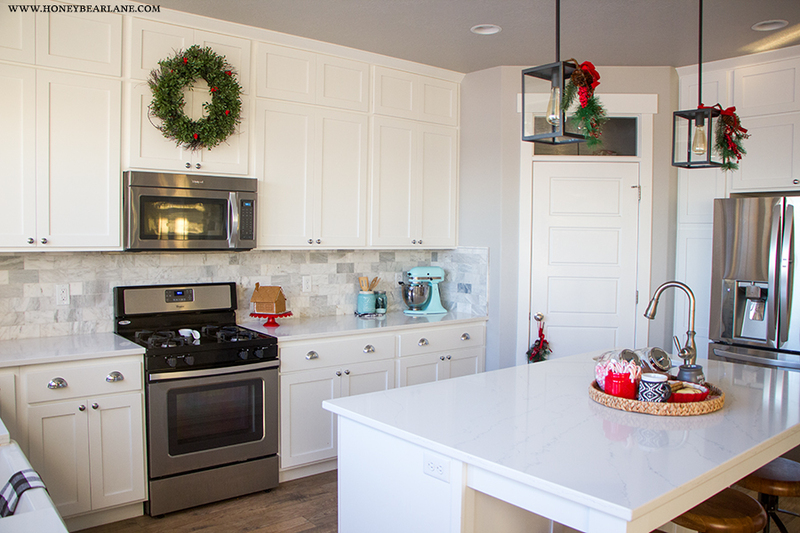 I added the marble tile backsplash last year and that has made a huge difference! We also changed out the pendants and I love the more industrial vibe it adds. I added a few sprigs of green to the pendants by tying them to the poles. I made a couple of vignettes with Christmas stuff but not too many because I still like my kitchen counters to remain somewhat uncluttered. This year I purchased a gingerbread house kit for my kids, much to their delight. I put it together and set it on this super cute red scalloped cake plate from Michaels. 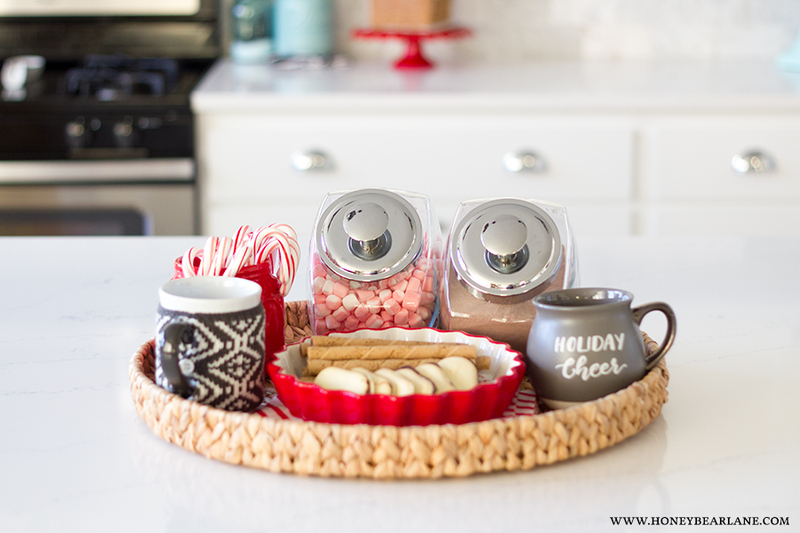 I also really wanted to put together a hot cocoa station which is good and bad. It’s good because it’s yummy, but it’s bad when you’re trying to eat healthy to lose some baby weight, haha! But I love these little canisters for hot chocolate mix and peppermint marshmallows. 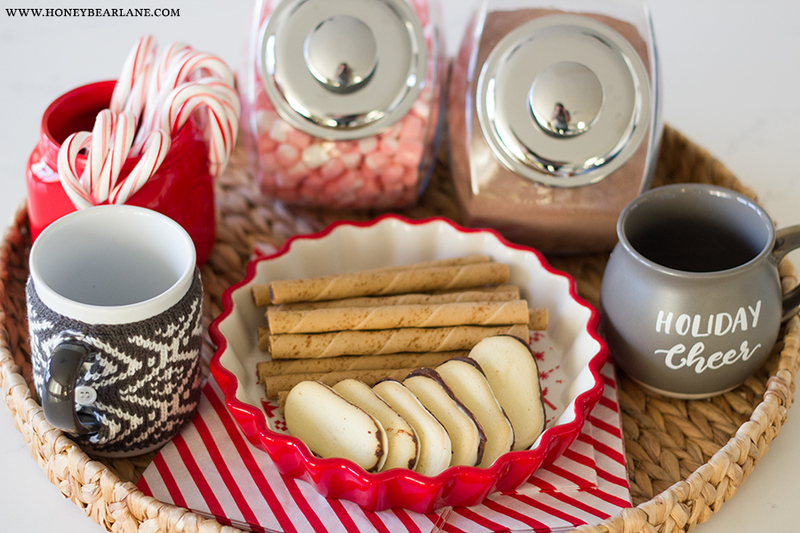 And I use candy canes as stir sticks and the Pirouettes to dunk in the chocolate. It’s really such a treat. And seriously how cute are those mugs! 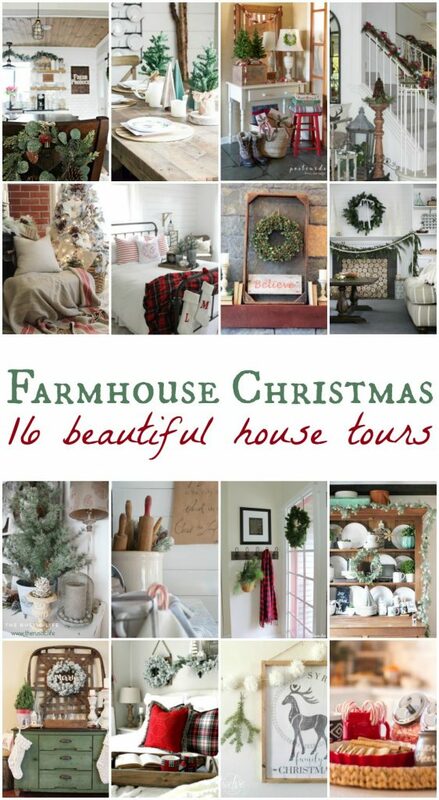 I’m the very last stop on this tour, but I hope you’ll check out the rest of the houses if you haven’t already. 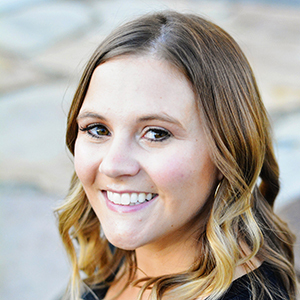 And a big thanks to Christina of Christina’s Adventures for hosting this! Your kitchen is so beautiful! 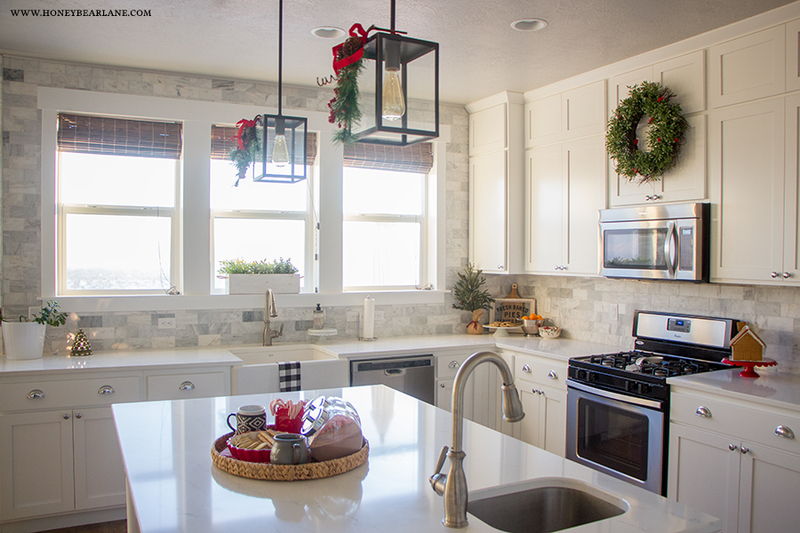 I really love it – and those lights over the island have me swooning! Thank you Christina! Your house is amazing as well and thanks for including me in your tour! Wow! I love your Kitchen! 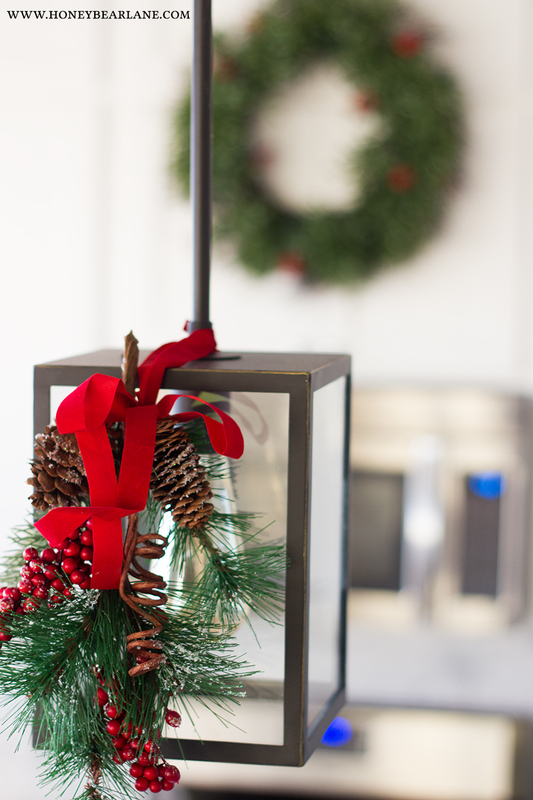 The simple Christmas touches are perfectly done. Beautiful home! 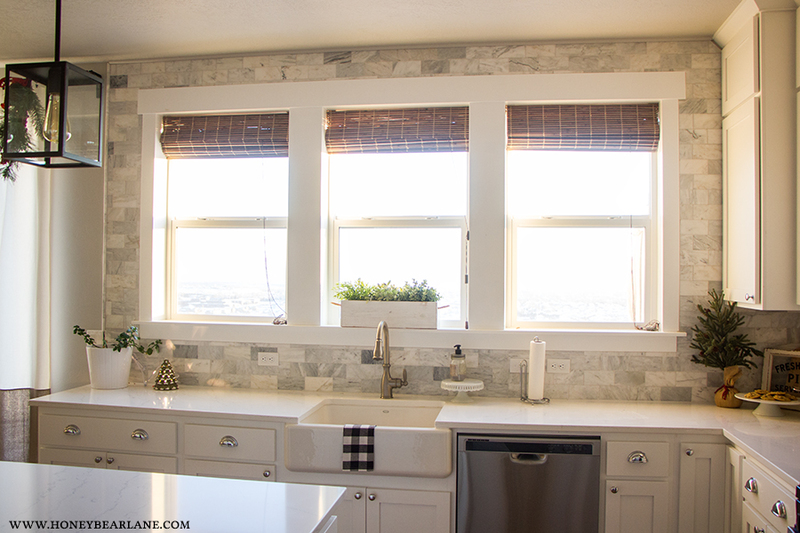 I love the marble tile backsplash 🙂 Heading off to check out that post! 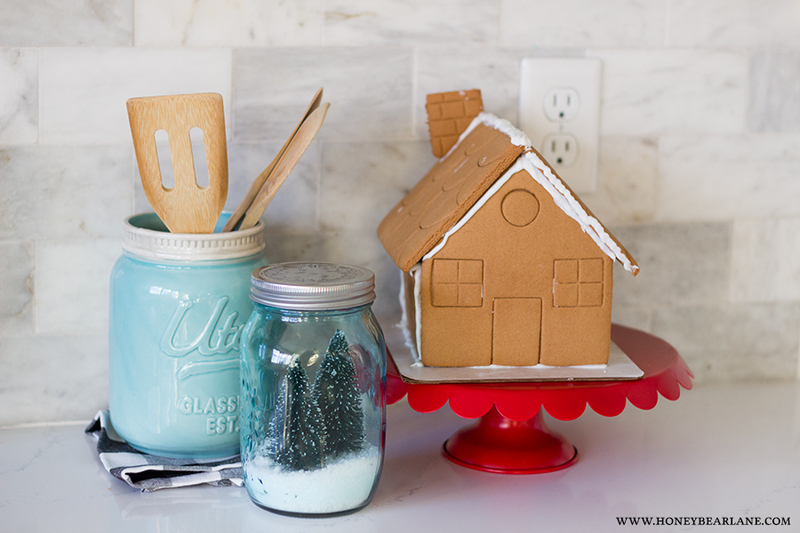 What a beautiful Christmas kitchen Heidi! I just love the marble backsplash you added. Have a very Merry Christmas! Oh thank you! Merry Christmas to you!